Hi Everyone, I am new to the Daisy Patch and I am so excited to be here! 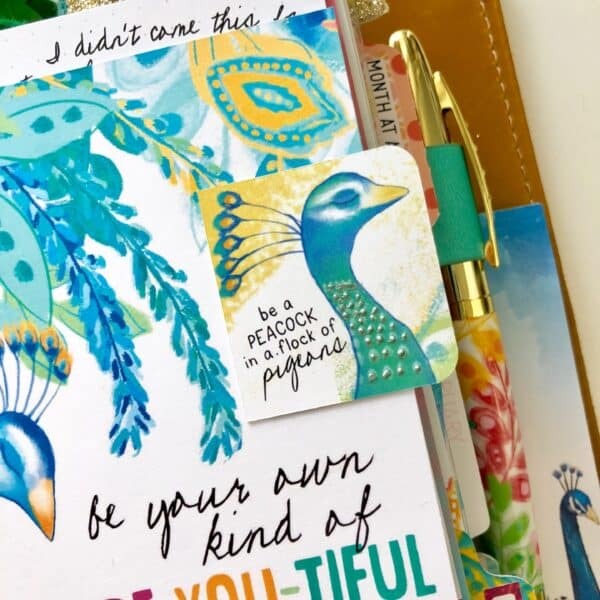 First, I am going to tell you a little bit about myself and then I have a few quick tips to add some easy and instant pizazz to your planner/memory pages. I am the CEO of the house of Reiter, in other words, I currently stay home and make sure that everything runs smoothly and everyone has what they need and is where they should be! My husband and I have been married for 29 years and have two fantastic kids that are in college about 90 minutes away. We recently adopted a kitten whom I am besotted with and she is keeping me on my toes. My dad is retired Navy and I have lived in several places, the last of which was San Diego and that I still call home. After I married my husband, his career brought us to Virginia and we have been here ever since. 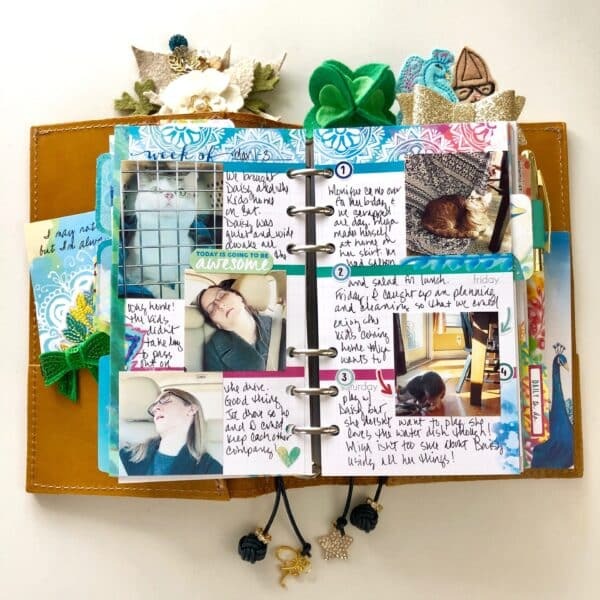 I’ve been a scrapbooker and memory keeper for 20 years as well as a born planner. I love mixed media art and dabble in all kinds of mediums. 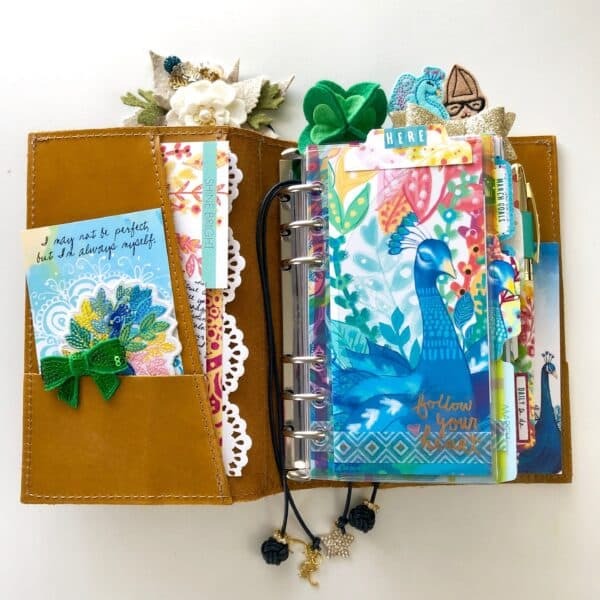 Two years ago I discovered decorative planning and the travelers notebook community and my creativity has renewed itself in a way I never expected! 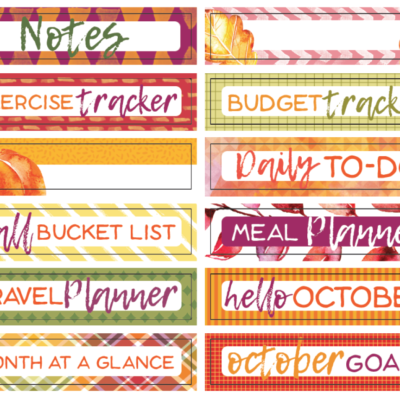 I use a Foxy Fix Personal Size Ring planner in Spice Turmeric. I do switch up my rings based on the color scheme of the monthly kit. Having the colors coordinate helps your pages “pop” and adds a cohesiveness to the overall design. Now, that being said, I realize that not everyone can do that so I would recommend choosing a neutral color that is classic enough to go with most kits. I add a few of the kit items in the front pocket and scavenge my supplies for additional items that match the color scheme. My first dashboard is a “bookmark” tucked in a plastic secretarial dashboard that I can take out and use as needed. 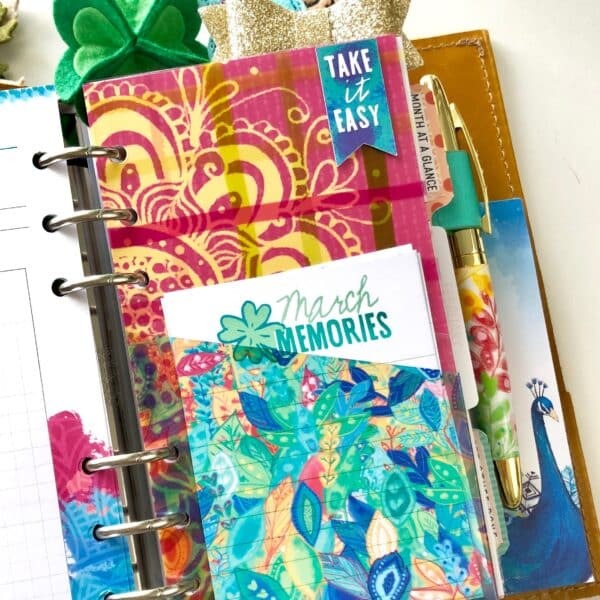 I do a combination of planning and memory keeping in my Personal Day Planner Kit. I have a traveler’s notebook for the majority of my planning but I prefer to keep my memory keeping in my Daisy inserts. The layout and colors are so beautiful and perfect for my needs. 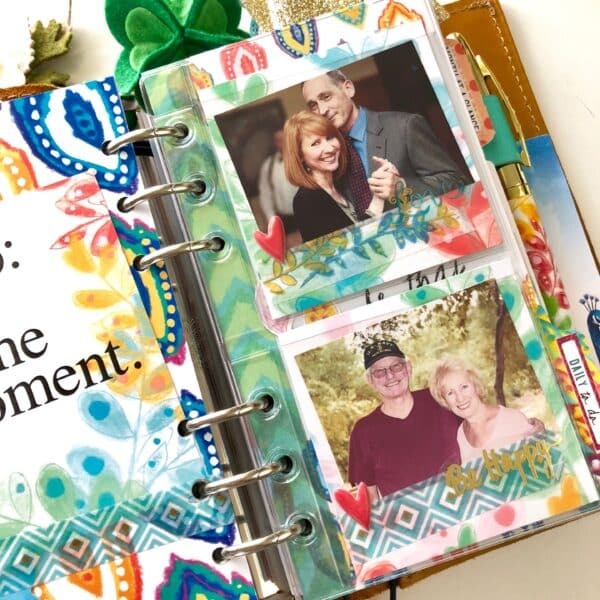 I add photos with a Zink inkless printer and journal around the photos. I don’t always stick to the exact date since I don’t always have something that needs to be journaled everyday. I made a dashboard out of one of the smaller dashboards and used a square die cut (both from the planner add on kit) to make a tab. To add a little pizazz, I used dimensional glue that dries like little pearls. You can also find this in a glitter glue. 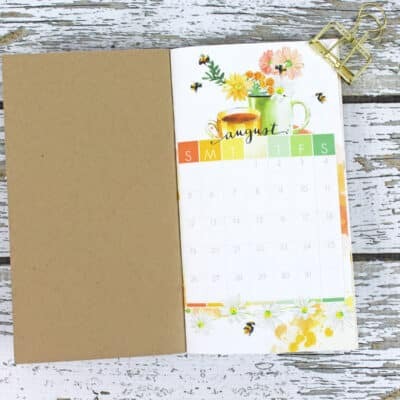 Whether you use your Daisy Planner inserts for planning or memory keeping, I always recommend adding photos to your dashboards. This way you always have your family/loved ones with you. 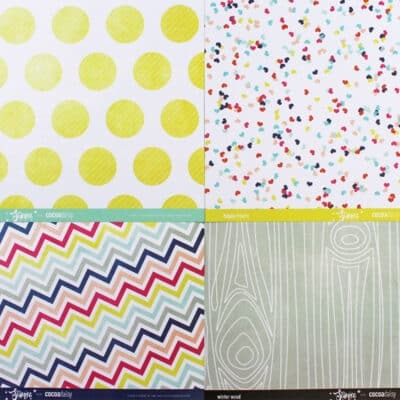 Just add a small photo on a piece of the decorative paper along with some washi tape and a sticker or two. 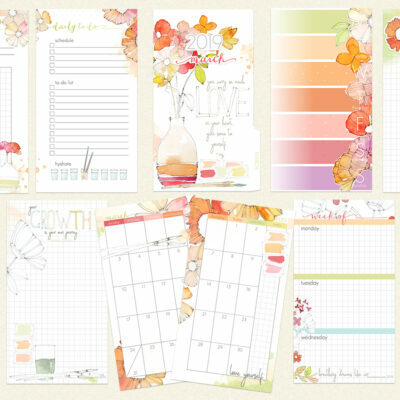 I always get excited when the adhesive pockets are included in the planner add on kit. Sometimes though, they are larger than the personal size inserts. I apply them to my dashboard and trim off the extra on the side where the rings are located I then add holes and slip onto my rings and they work perfect for holding additional diecuts until I need them. In a Daisy Dory, you can use washi tape to close up the open side. on Instagram and on YouTube. How Do You Organise Your Stamps? So good to have you on the team! Thanks for your lovely introduction!